Mitsubishi Imaging (MPM), Inc. announces the appointment of Hide Tsukada to the position of President and CEO. 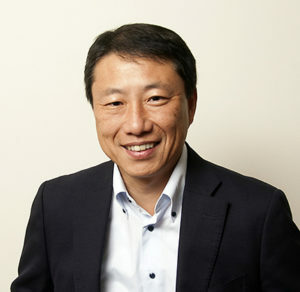 Prior to his role as Executive Vice President of Mitsubishi Imaging, Inc. he served as Group Leader, Mitsubishi Paper Mills Digital Imaging Sales. Mr. Tsukada has been very involved in Mitsubishi’s shift into Digital Imaging and has been integral in driving the success of our world class portfolio. In addition to the appointment of Hide Tsukada, Mitsubishi Imaging (MPM), Inc. announces the formation of two new business divisions to best align with Corporate strategies and new product development. Jillian Acord has been appointed as Senior Vice President, Operations and Corporate Planning, which includes Corporate Communications and Public Relations. Ms. Acord has held several leadership roles at Mitsubishi Imaging (MPM), Inc. which include responsibility for business performance in Marketing, Operations, General Administration, Human Resources and Information Technologies. Chris Hung will be Vice President, Sales and Product Planning across all product lines. Mr. Hung has a long leadership tenor with Mitsubishi Imaging (MPM), Inc. and has been instrumental in bringing new innovative products to market and forging long standing strategic business partnerships with industry leaders. Ms. Acord and Mr. Hung will directly report to Mr. Tsukada. Subscribe to our Press Room RSS news feed.